Linda Acaster is not an amateur player but a veteran in the writing industry with more than 70 short stories published in print as well as many stand-alone novels in not one, but many different genres. Not only this, she has also written a guide book for aspiring writers, “Reading a Writer’s Mind”. Today, she is here to tell us why she felt the need to write a helping book for beginners and how has been the journey of writing so far. So let’s welcome her! I live on the Yorkshire coast, five minutes from the beach. I'm interested in how beliefs emanating from Dark Age history and beyond permeate modern lives without us realising. I write in a number of genres, and generally find odd bits of information fascinating. Sounds boring, but I think it's a writer's job to turn the dusty ore into a sparkling gem. I'm not sure why, but it was while in secondary education that I realised I had a knack with words. Composition I found easy and I thought that was normal, until it became obvious that I was writing reams while others were struggling to fill half a page. Perhaps it was because I led a mundane, and fairly timid, early childhood and enjoyed living through my imagination. RG: What books (fiction) have you published so far and what are they about (name of book and brief synopsis)? 'Beneath The Shining Mountains' has a Native American setting, 1830s among the Apsaroke/Crow on the northern plains. I used to be a re-enactor, and we lived in a tipi for holidays with a group of other mad... er, like-minded people. I found the hands-on experience with replica tools, etc, really informed the book-reading research, and thus my writing. 'Hostage of the Heart' is a sweet Mediaeval romantic suspense set on the English/Welsh borders in 1066 when the balance of power is upset by the northern invasion of Norse. It explores the lot of battle hostages. 'Torc of Moonlight' is my latest, the first in the Celtic Goddess trilogy of supernatural thrillers set in university cities close to the North York Moors. Ever thrown coins into a wishing well? So who are you expecting to answer? It's a rite over 3,000 years old, supposedly suppressed by Christianity – an All Saint's church is a good indication of an early site – and is tied into what we now call Halloween. This book is set in Hull and available in paperback and as an e-book. The second book, 'The Bull At The Gate', which I'm working on at the moment, is set in York, and explores a different historical thread under the umbrella of 'states of reality'. What can I say? I like to make life difficult for myself. 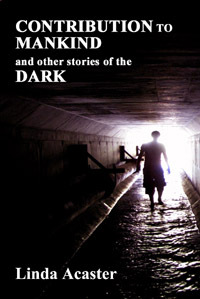 There is also a Western kicking about that I'm trying to get the rights reverted, and I have produced a collection of short speculative fiction as an ebook 'Contribution to Mankind and other stories of the Dark', as well as having 70+ short stories print published in genres as disparate as Horror, Romance, Fantasy and Literary. RG: You have written books in so many different genres which is commendable. It is not impossible but certainly a difficult task to shift your state of mind from one genre to another, so how do you manage to do justice to each genre? I immerse myself in the time period, the backgrounds, and the people. The people are important. I don't write “about” them. I'm a Show writer, and I spend a lot of time planning my characters prior to starting a novel. If I'm writing in multi-viewpoint, which I usually do, having chosen a viewpoint character for a scene I become that character and then write. Think of it akin to being in a virtual reality suit. LOL. None. To put it in context, when I was at the Jorvik Viking week at York I was handling replica weapons to test for weight (research) and a starry-eyed visitor beside me was wishing to go back in time to witness the Battle of Fulford Gate (1066, Norse won) “not to be a part of it, just to witness it”. So speaks someone who has done very little research about the life and times, nor can read the implications behind current television news reports. I'm grateful for hot & cold running water, knowing where my next meal is coming from, and feeling safe sleeping in my bed. Long answer: writers train themselves to be alert for snippets of information on all topics relevant to their interests, and surrounding those interests. It's rarely one snippet that fires an idea, more likely to be two or three, often with no previous links, that converge. RG: Now coming to your non-fiction book, “Reading A Writer’s Mind”, how did the idea to write a helpful guide for aspiring writers come to you? Tell us about its varied content. When I was a beginner I was forever told to 'read the greats', which I found to be as much use as limp lettuce. How could I understand how 'the greats' produced their fiction if all I could see was the finished whole? It's rather like being shown a shiny Formula 1 racing car and being told to go away and build one. At the very least you need blue-prints. I found that writing manuals tended to list tools, but didn't explain how to use them. I've since taught Adult Education classes, tutored for a distance learning college, and am a reader for a London literary consultancy, and have found that beginners still fall foul of the problems I did at that early stage, hence the book. By taking ten of my own stories from different genres I can highlight the tools and techniques used in bringing each from initial idea to fruition for a particular market. I discuss my mindset and the decisions made, and the reader has the story there in its polished form so it can be dissected. Having elements of fiction-writing explained this way allows readers to reproduce the thinking within in their fiction because of the 'why' as well as the 'what'. The book is gaining good reviews, and I've already had people write to me about how it has helped them understand their own fiction, so I'm pleased I took the time out to put it together. RG: Since you have written both fiction and non-fiction, which “form” you enjoyed the most? What “tools” do you think are indispensable for both forms of creative writing? Whichever one I'm working on at the time. It's a matter of being focused. You aren't going to produce good work if your mind is longing for something else. Good fiction, and non-fiction for that matter, works best if it is not pushed down readers' throats as a one size fits all standard. Reading is a two way process. The reader has to be allowed room to bring something to the work; in non-fiction it is “understanding”, in fiction it is “imagination”. RG: Are you planning to write more non-fiction books or helping guides like “Reading A Writer’s Mind”? Probably. If I do it'll be on building characters, which lets down a lot of work-in-progress I read and leads to stereotyping or a story being played out in a vacuum. I discuss it 'Reading A Writer's Mind' but didn't have enough space to go into it in depth there. The non-fiction took near enough six months, the novels take about a year each. I'm not a fast writer and life impinges. Paddling a canoe on Peasholm Park lake, Scarborough, in twilight. Flew to Iceland to stand on the lip of a semi-dormant volcano. The landscape there is like Scotland with attitude. RG: Oh my! That is crazy! How do you relax when you have free time? I sit in our garden in summer among the trees and bird-life. In winter it is relaxing with a DVD. I enjoy walking the landscape, any landscape, looking for the history pressing up from a few centimetres beneath the surface. It is the one that truly revitalises my writing senses. · Love is...give and take. · Life is... making the most of the hand that's dealt you. · Writing is...hard work, but spiritually rewarding. 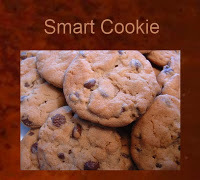 · E- books are...the best thing since sliced bread. 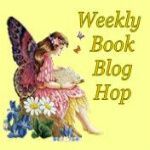 · Book Blogs are...a fantastic way for readers and writers to interact. Gone are the days when gatekeepers told us what to write and what to read. Thanks for inviting me. Really enjoyed it. Merry Christmas to you too! 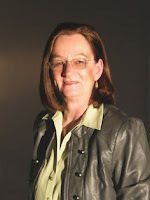 Linda Acaster’s published work includes four historical novels, and over seventy short stories in genres as diverse as women’s, horror, crime, fantasy and SF, published in magazines in the UK, US and Europe. 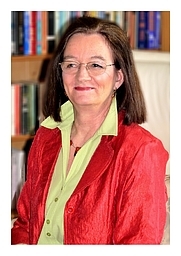 She has also written travel features and opinion pieces for the UK press, and an abundance of articles on the techniques of writing fiction. A past tutor for the Arvon Foundation, she has led workshops and spoken at writers’ conferences across the north of England. She spent six years on the reading panel for the New Writers’ Scheme administered by the Romantic Novelists’ Association, and two years as the co-ordinator of its Northern Chapter. She is a member of the Society of Authors. She can also be reached on Facebook & Goodreads! 5 winners to be chosen! 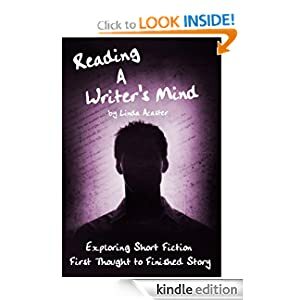 “Reading A Writer’s Mind” shows the detailed thinking behind the writing of ten stories across a range of genres and using different modes of delivery. From the initial idea, through the story itself, to a commentary explaining the decisions made during the writing, this book offers a unique insight into one writer’s creative process, laying a path to follow and showing the tools to use. Now, it’s time for the Christmas Special Giveaway! I am so excited to announce that Linda is offering FIVE (Yes! You heard that right, 5!) copies of her book, “Reading a Writer’s Mind” to my wonderful readers. So, do not miss this golden opportunity and enter this giveaway right now! Make sure you tell your writer friends about it, so they can also participate and get a chance to be one of the FIVE (5) very lucky winners! 1- Leave a genuine comment on this post. You can discuss, share your own experience or ask a question related to the writing process. 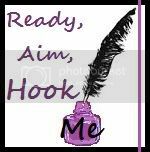 If you are a writer, feel free to linkback to your blog/website. 4- Follow my blog’s Facebook group by clicking here. (You need to be signed in to Facebook to follow this group). Note: All these rules given above are REQUIRED to enter this giveaway, otherwise your entry will not be counted. Only genuine comments will be published and counted. One entry per person. This giveaway is international. Five (5) winners will be chosen through Random.org. They will be notified through email from “The Review Girl”. Well hello there, Review Girl. Thanks for inviting me across. And to all readers, yes I know you're busy right now - tell me about it! - but if you leave a question I'll be popping back to answer. And you could win yourself a copy of my ebook. How's that to set you up for the New Year? Yay! @Linda: Thank you so much for dropping by! :) I loved interviewing you! This is great information for readers and writers. I am interested in the Torc of Moonlight. I'm very much into the Goddess! It is on my reading list! This is a cool blog site. I've read Linda's giveaway already, so I'm not here for the contest. I'd just like to let everyone know that, in common with her fiction writing, this is a book worth having. I've been writing for millennia and I still learned a good deal from this book. For those interested, you can find me on http://stuartaken.blogspot.com/ where I put my own slant of various writing issues. Good interview; I enjoyed this, thanks. @Jodi: Thanks for entering the contest! @Stuart: Thanks for you lovely comment. I have visited your blog and read your post on cultural beliefs...very interesting. I am following you now on Twitter. Hope you also come back to take part in future writing discussions. Just popping by between house jobs, and oh, wow! Visitors already. @Jodi - well, my FB is hardly a "group". It's a Profile, but as I only chat about writing stuff I guess it might be an idea to investigate Pages during the break. Never enough time, is there? I hope you managed to become a Friend, nonetheless. And I can see what you think of the Goddess from your FB page. She's a slow burn in 'Torc of Moonlight', as she should be - her heart beats to a different rhythm to ours. @David - a man of so few words! I hope your own writing does well for you. @Stuart - Lovely to hear from you. Thanks for dropping by. So others know, Stuart gave the book a cracking review across at Goodreads. Okay, I have to play taxi driver (not THAT taxi driver) so I'll call back later. Any questions, add them in to the mix. I'm interested to know what others are doing, or having trouble with. Lovely interview, and as always I learned something new about you, Linda. 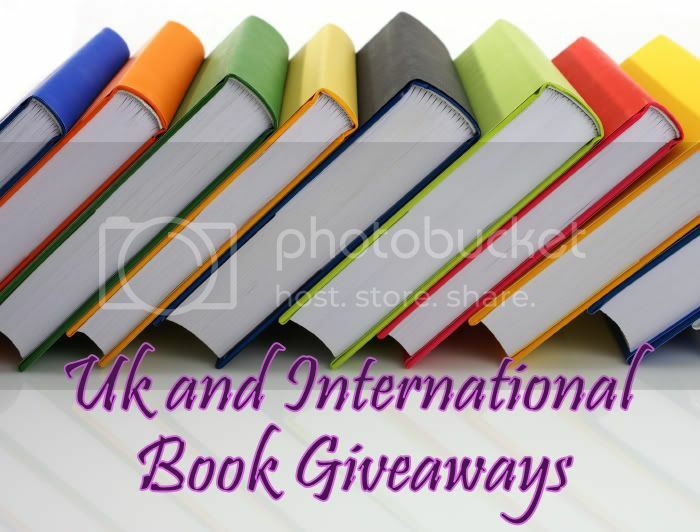 With my fuzzy head, post-concussion, I don't feel up to following all the rules for entering the book giveaway but I'm sure it is a very helpful tool for writers at any stage of their journey. I've visited the Jorvik Museum at York. Fascinating. All of your responses in this interview struck a responsive chord with my own convictions about writing, and most especially about ebooks. Nice to meet you. 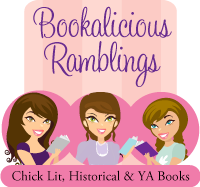 I found you through book blogs and decided to become a follower. 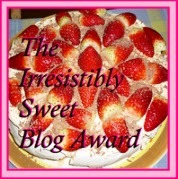 When you have time it would be nice if you visit my blog and become a part of my blog family. Liz. I love your blog very much and will be coming back. Fascinating interview. I'm not entering the contest because I already have the book. I was in the queue waiting when it first came out. Linda's incisive reviewing has been a huge help to me. I recommend it to anyone - it's a good read, even if you don't want to be inspired to write. @LindaSR - glad my responses struck a chord. Most people's fiction needs honing. When we start we have a tendency to write as we speak, whereas we should be writing as our narrators speak. Sometimes the years give us that insight; sometimes its an editor's eye. You look after yourself. @Liz - pleased you could drop by. Your covers are spectacular. @Penny - thanks for the accolade! Glad I was of help. I wish you well with your crime novels. Personally, I'd like to read a reader's mind. What you're reading is the work of an author, and when I read their bios I'm so surprised at how different they are from their writing. Read a reader's mind, and you've got it made. Maybe it means you'll be writing sparkly vampires, God living in a shack (dumb idea, but who am I to argue with success? ), or a little girl growing up in 1915 Brooklyn. I'm a big believer in making your urge to write to conform to what an audience wants. My comment:I would love to use this book. I am thinking of turning the stories (and more) on my blog into a book. Maybe I could gather a little courage. Hi Mac and Donna, thanks for dropping by. Mac: I know what you mean. Humans are intersting, but writers take that oblique look at normality and can highlight so much more. And why can't God live in a shack? Since when did God actually state he/she/it lived on a cloud? Or, for that matter, lived - at least in our expression of the term? If nothing existed before the Big Bang, what exploded? Y'see, it doesn't take much, does it, to start a writer cogitating. I hope your own cogitating works well for you. Donna: Courage is what we must live by. Mostly the courage to be less than the perfect we aim to be - in our life, in our writing. It helps to have some encouragement, to listen to people who have trod the path. 2012 is a whole new year. Go for your goal, Donna. I really enjoyed reading this interview. I love finding new authors to read. As far as my writing goes, I write poetry but it ends there. Since I started school full time I haven't had much time to write, but I enjoy it and it helps through so much. I really look forward to reading this book. I asked to join your group on Facebook (my name is Georgia Gaudette). I am also a GFC follower, I believe it listed me as Elmo but could've done my name also. What would do if last copy of the book who badly love to read goes in another person's hand? I was in the same position as the author: I was told to look at the greats to create books and that was just as helpful as looking at an artist's finished product to learn how to draw: Utterly useless. I would love to learn how to write better using her book. Thanks for sponsoring this giveaway! Would love to see more entries, questions on writing or shared experiences. Anything is welcome, as long as it is related to writing. I would love to read & review this book. I would prefer a smashwords coupon, but kindle is fine. If possible, can you send kindle & epub? My email is Hannah.Hummel129@gmail.com. 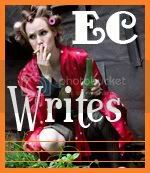 You can find other reviews I have done at http://www.smashwords.com/profile/view/Elizabeth9. Hi everyone! Enjoying the Christmas break? Do we writers have such a thing? I've started reading a Crime novel I've had for a while, I'm plugging away at outstanding client work, thinking about a Western cover I need, and occasionally cogitating on the work-in-process, "The Bull At The Gate", the sequel to "Torc of Moonlight". And this is R&R?? It is great to see new people joining in the discussion. @Georgia: Poetry is of great use to prose writers as it makes us see and choose words individually rather than as a group or phrase without recourse to the dreaded adverb. Do we mean walk or lope or stride - that sort of thing. It also helps hone rhythm and pacing. It matters little if the end result is cringe-worthy as it is the process that matters. So keep up with your poetry even if at this time you can't find mind-space for prose. It all adds to the learning curve. @Silvy: If it can't be bought, borrow one. We have a grreat system of libraries in the UK (though the current economy means that many are reduced or closing). I think this will aid the uptake of ebooks. @Larissa: Exactly! For some unknown reason in the UK writing prose has been seen as a born-to artform. I consider it a craft where skills need to be honed. I'd have saved myself years of grind if someone had taken me by the hand early in my career - which is what "Reading A Writer's Mind..." attempts to do. It's been good chatting to you all. I'll return later. I have this group of characters in York standing around tapping their feet and getting decidedly irritated, so I'd best get back to them. I have already read Reading a Writer's Mind and found it full of useful hints. What is impressive is that Linda is at home in such different genres. Hello! I'm a new GFC follower! I'm visiting you from http://beautybrite.com and http://everafterpr.blogspot.com! *We're seeking book tour hosts at Ever After PR! Stop by and say hi! I love to read your blog. Very nice interview, I enjoyed reading the variety of questions and equally good answers. Please enter me in this giveaway. I am following you on twitter. No FB account..sorry! Hi Madeleine & HannahH, thanks for joining us! Great to hear that "Reading A Writer's Mind..."
has been of such use to you, Madeleine. People say that about me and genres, and I always look at them askance. From where I sit it's all in the characters. Understanding where our characters mentally stand, how they think and feel, is the key. @HannahH - I'm sure you'd find a lot to light your fire in the book. I might not have a luck potion to blow your way, but I can point you towards Amazon or Smashwords for your formats. Oh, go on then... pfuff..!! In fact, good luck to everyone, not just in the competition, but in your writing as well.